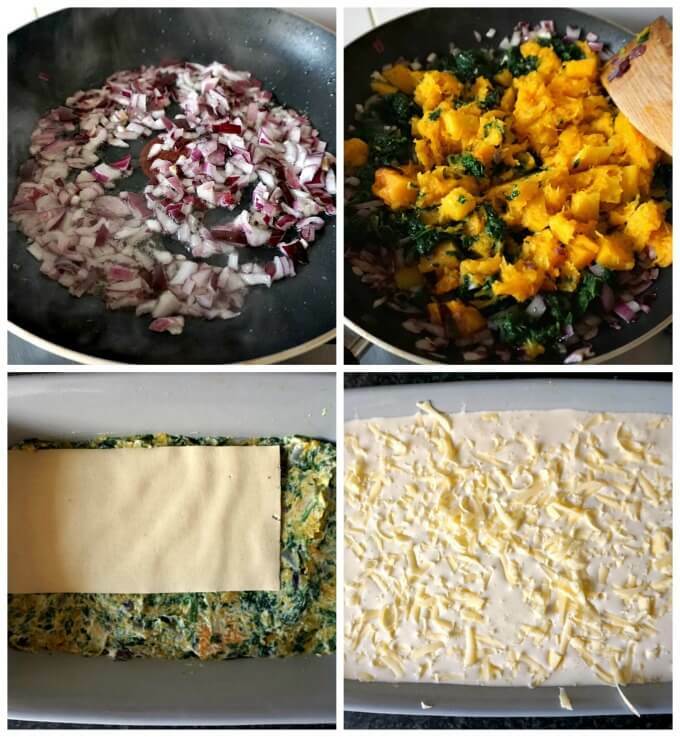 Healthy Butternut Squash Spinach Lasagna, a delicious vegetarian dish that gives comfort food a new meaning. 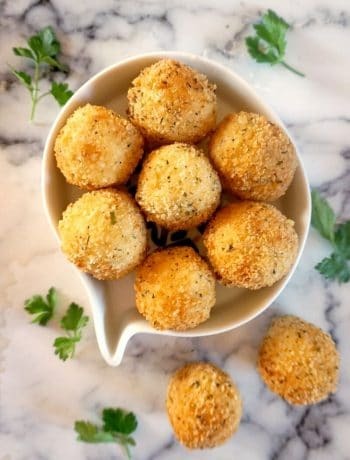 Very easy to make, this recipe can be enjoyed by the whole family, from little to big ones. 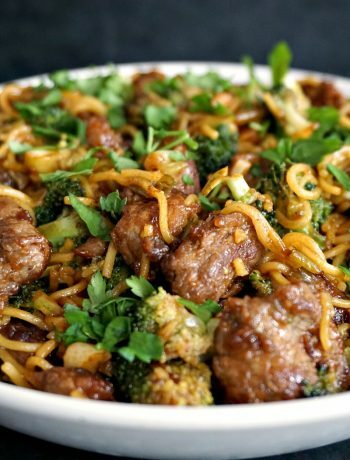 From time to time it is good to take a break from meat and enjoy our favourite recipes just a little bit different, but equally tasty. 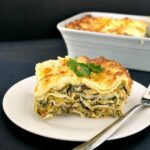 I absolutely loved my Turkey Spinach Lasagna Recipe with Ricotta, but this time I wanted something simple without meat though. Butternut squash and spinach make a nice pair in this dish, the first one brings a subtle sweetness, and a touch of Fall, and the second one a boost of freshness and goodness. 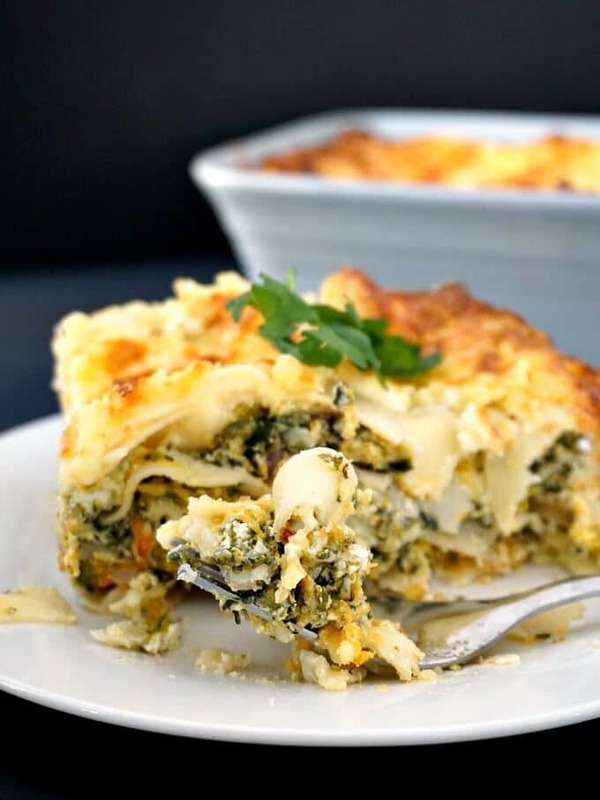 The ricotta cheese works beautifully with the rest of the ingredients, it does not have any particularly strong flavour to steal the show, but has that creaminess we need to keep the lasagna moist. I usually make a cheesy white sauce to cover the bottom of the dish and top it as well, but this time I opted for a simple double cream combined with cream cheese. What whinning combination that was! Extra creamy, and extra tasty. And extra praises from people trying the recipe. It’s an excellent choice for a vegetarian Thanksgiving, if you celebrate it, or any other occasion. It surely tastes so nice, that it can safely make its way to the table when you have some guests for dinner. From the above photos you can see how easily you can make it, just some onion, butternut squash and spinach, a tiny bit of seasoning, ricotta cheese, and that’s the filling done. The butternut squash has to be cooked already, either boiled or baked. Baked butternut squash is a lot more flavourful and sweet, but boiled is the second best thing for this recipe. I used frozen spinach, since l always have lots, it’s great for any last minute recipe, plus you can avoid wastage. I often find that if l buy a big bag of fresh spinach, l almost never manage to use it up before it becomes bad. Frozen vegetables are as good as the fresh ones, not only for the reasons mentioned above, but also because they tend to be cheaper than the fresh ones when they are off season. However, if you do happen to have fresh spinach, just add it to the pan once the onion has soften, it cooks really quickly, in a matter of minutes. So, there you have it, a hearty dish that can be prepared well in advance and served with all your loved ones. 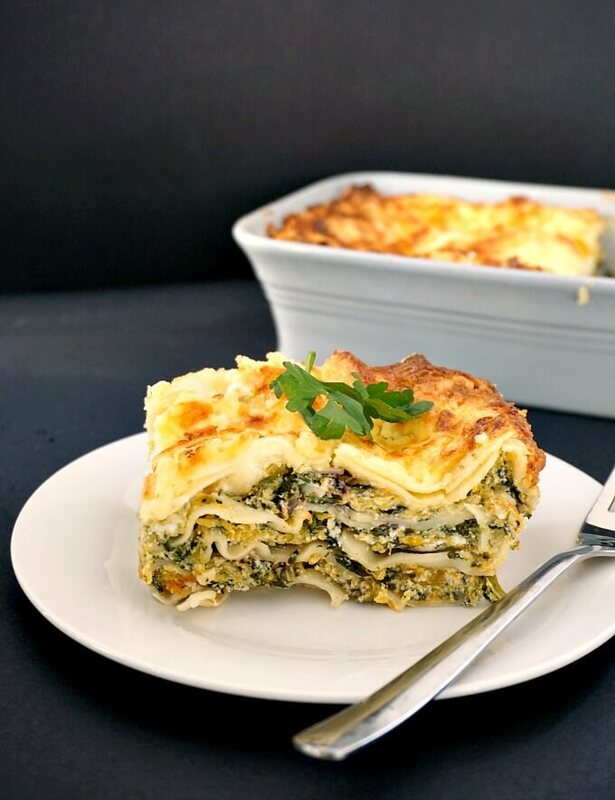 If you’ve tried my BUTTERNUT SQUASH SPINACH LASAGNA or any other recipe on the blog then don’t forget to rate the recipe and let me know how you got on in the comments below, I love hearing from you! You can also FOLLOW ME on FACEBOOK, and PINTEREST to see more delicious food and what I’m getting up to. Chop the onion finely, add the oil to a pan and heat it up. Fry the onion on a low to medium heat until soft, then add the spinach and butternut squash, mashing them slightly. Add the ricotta cheese, season with salt and pepper, and stir well, then remove from the heat. 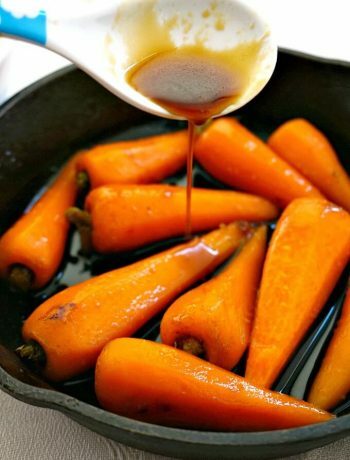 Grease an oven-proof dish, pour a quarter of the double cream, spreading it all over the bottom of the dish. Arrange on layer of lasagna sheets, then spread a third of the butternut squash mixture, then arrange another layer of lasagna sheets, again butternut squash mixuture, and repeat again until you finish the mixture. The last layer should be with lasagna sheets. Whish the remaining of the double cream with cream cheese, and spread it over the lasagna sheets, then top with grated Cheddar. Bake for 25 minutes in the pre-heated oven at 180 degrees Celsius (360 Fahreneheit) until the top is golden. The amount of ingredients listed can be adjusted depending on the number of servings you need, just click on the number 6 next to SERVINGS. Ricotta cheese can be replaced with mascarpone, which has the same creaminess that works well with this recipe. Fresh spinach can be used instead of frozen one. I chose no-preboil lasagna sheets, which can be used straight away. If you do not have the no-preboil ones, just follow the packet instructions to cook the accoordingly before using them for this recipe.